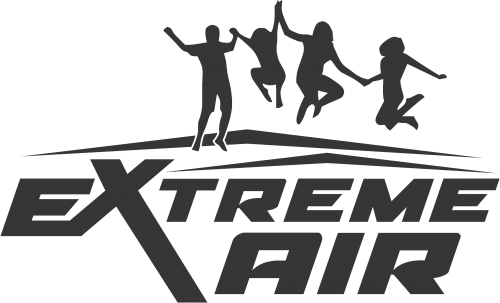 Catch some Extreme Air by jumping off our high jump platform onto our air filled bag which makes for a safe but fun landing!! If you’re afraid of heights, don’t worry, you can start by jumping off one of our trampolines!! Use your tricks on the inclined trampolines to maneuver your way around the court without getting hit!! Jump to heights where you can now eliminate people at all different angles! If you thought that dodgeball was fun in gym class, just wait. Take this challenge to a whole new level battling your buddies on the padded battle beams!! Defeat the undefeated and become the champ!! Go to our Extreme heights on our 13ft high rock wall! No matter how high you get there’s only one way down…free fall into one of our blown up airbags!